Charles Dawson verified its antiquity and pronounced that it was part of a skull which was possibly human. Dawson began to search for the rest of the skull and, in 1912, a jawbone was discovered. They verified that the skull had human features and the jaw was ape-like. The fossils became known as Piltdown Man. At last, here was ‘proof’ that apes had evolved into humans! 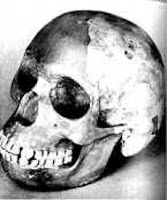 But wait... almost forty years later, in 1953, Piltdown Man was exposed as a forgery. One man discovered that the skull was actually from a modern human and that the jawbone and teeth were from an orangutan. The teeth had been filed down to make them look human. The bones and teeth had been chemically treated (and sometimes even painted) to give them the appearance of being ancient. 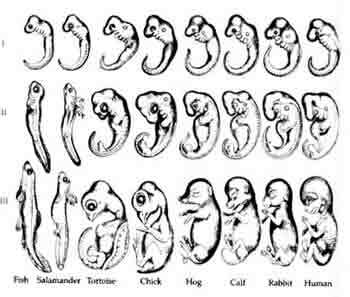 The Haeckel embryo sequence shown purported to show – left to right – a hog, calf, rabbit and human has long been said to demonstrate that humans share a common ancestry with these animals and thus prove the theory of evolution. These pictures were designed by Ernst Haeckel. For example, the dog embryo and human embryo, in his book, are completely identical. Haeckel maintained that he faithfully copied the dog embryo from Bischoff (4th week). They then reprinted the original drawing made by Bischoff of the dog embryo at 4 weeks, and the original of human embryo at 4 weeks made by Haeckel. The originals were completely different! Elsewhere in Haeckel’s book, that same fraud is used to portray a dog, a chicken, and a tortoise! He was charged with fraud by five professors and convicted by a university court. His deceit was exposed in “Haeckel’s Frauds and Forgeries,” a 1915 book by J. Assmuth and Ernest R. Hull, who quoted 19 leading authorities of the day. Haeckels drawings are still printed in some of today's school science text books with full knowledge that they are wrong. A single tooth was all it took for evolutionists to come up with the drawing pictured below. The pig it belonged to is a species of pig called “prosthennops serus”, this pig was found still alive in Paraguay in 1972 (though it was alleged to be 6 million years old!). After years of excavations with the assistance of forced laborers, they dug up a tooth and skullcap. The skullcap was ape-like having a low forehead and large eyebrow ridges. The following year and about forty feet away, the workmen uncovered a thigh bone that was clearly human. Due to the close proximity of the find, they assumed they belonged to the same creature. In 1907, they hired 75 workers and sent 43 crates of fossil material back to the place, but no evidence of Pithecanthropus could be found. 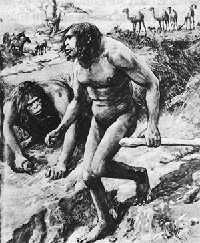 Instead they found modern flora and fauna in the strata where they had found the Pithecanthropus. Two other skullcaps were uncovered which were clearly human. 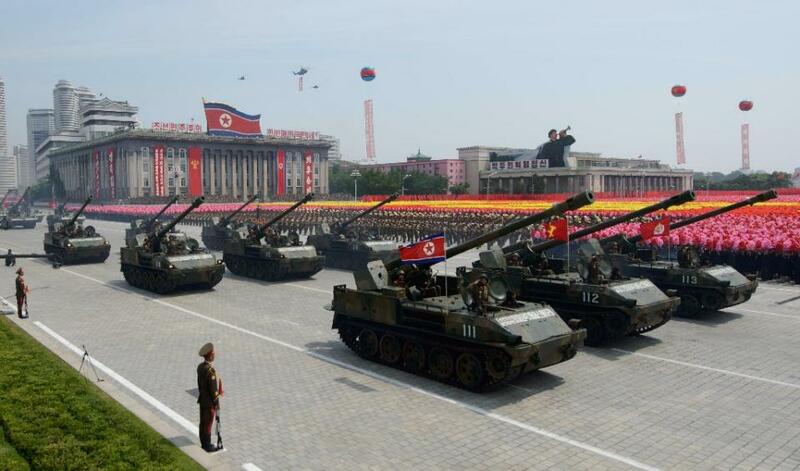 The bloke who found it apparently failed to display the human skullcaps when parading his Pithecanthropus. In fact, he kept the skulls hidden under the floorboards of his house for thirty years, then finally made them known in the 1920s. After a skull was discovered in the Neander Valley in 1856 by Prof. Protsch, evolutionists suggested that Neanderthals were primitive ape-men. 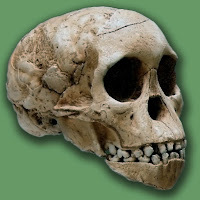 To make matters worst, the skull was dated at 36,000 years old, allowing it to fall neatly into the evolutionists’ timeline between Neanderthals and modern man. Later it was found that the fossil was actually the remains of a modern man afflicted with rickets and osteoporosis. This fossil, discovered in Africa in 1974, was widely esteemed by evolutionists and was the subject of some of the most intensive speculation. Recently it has been revealed that Lucy (A. afarensis) had an anatomy ideally suited to climbing trees and was no different from other apes we are familiar with. 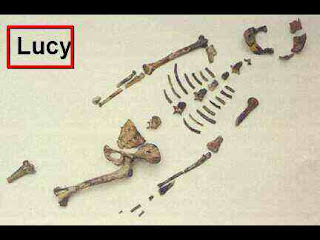 Yet Lucy has been Evolutionism's poster child. Very creatively designed sculptures of Lucy appear in museums, and these sculptures are hoaxes, not following the obvious ape-like bone structures, but rather dishonestly presenting Lucy as if she had human-like bone structures. 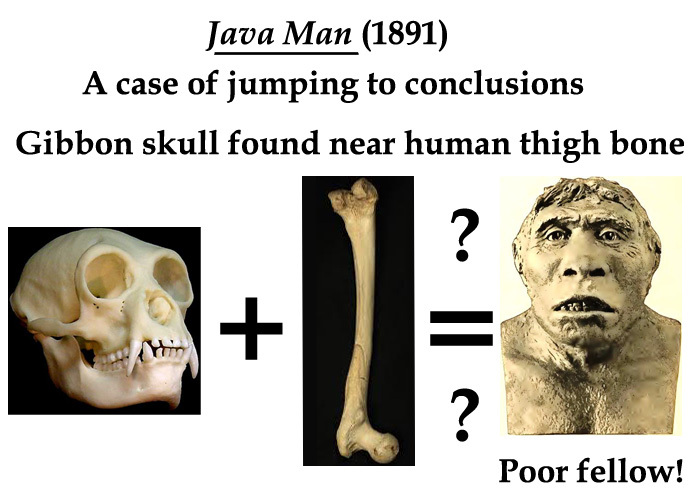 Fossils discovered on the islands of Java in 1891 and 1892 were given the name Java Man and fossils discovered near Peking (Beijing) in 1923-1927 were given the name Pekin Man. In 1939, however, two experts, Ralph von Koenigswald and Franz Weidenreich, revealed that both were actually normal human beings. 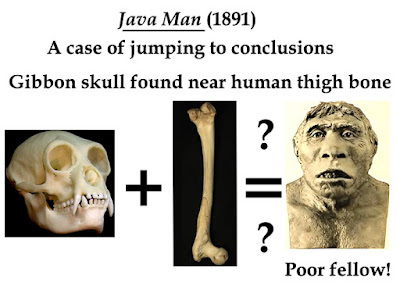 And Ernst Mayr from Harvard University had classified both as human in 1944. 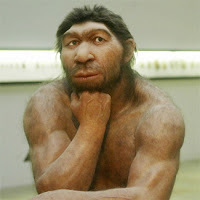 A fossil skull discovered by Raymond Dart in South Africa in 1924 was initially depicted as a supposed ancestor of man. 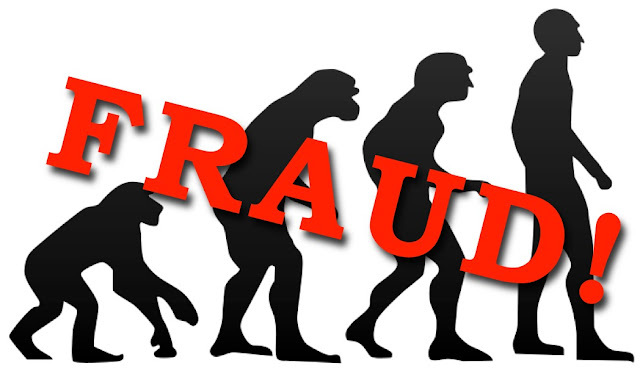 However, contemporary evolutionists can no longer maintain that it represents such an ancestor—because it subsequently transpired that the skull belonged to a young gorilla! The famous anatomist Bernard Wood stated that this fossil constitutes no evidence in favor of evolution in an article published in New Scientist magazine. 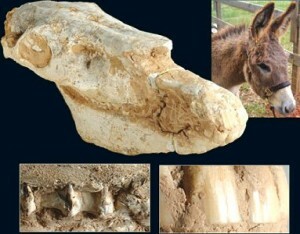 A partial jawbone, consisting of two parts, was discovered by G.E. Lewis in India in the 1930s. 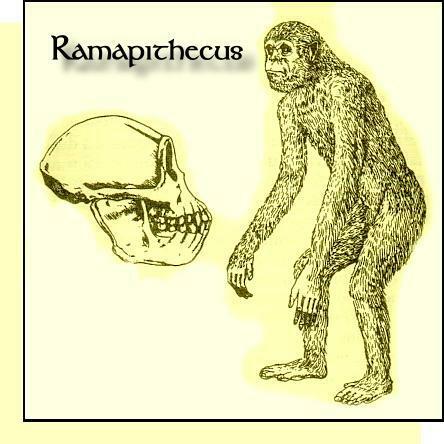 Based on these two jaw bone fragments, claimed to be 14 million years old, evolutionists reconstructed Ramapithecus’s family and supposed natural habitat. 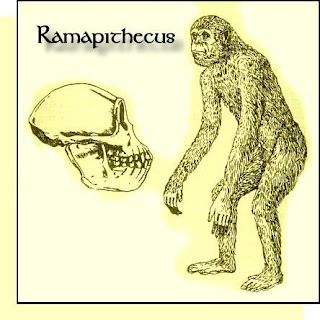 For fifty years, the fossil was portrayed as an ancestor of Man but following the results of a 1981 anatomical comparison with a baboon skeleton, evolutionists were forced to quietly set it aside. On May 14, 1984, a single skull was found near the village of Orce in Spain. Based on this one bone some over eager scientists again took artistic freedom and reconstructed an entire man from this single bone, and promoted it as the oldest example of man in Eurasia. It was later identified as that of a young donkey! Are we supposed to believe such confused scientists? These are all just a few examples of the fragmentary evidence that's based on reconstructions wishful-thinking, hyperbole, and science-fiction that goes into the theory of evolution. Due to lack of evidence, evolutionists continue to make frantic attempts to justify their failing hypothesis by submitting imaginative fraudulent sketches of "alleged" primate to human links and links between other completely different organisms to an unsuspecting public.